In C’Ville, winter can seem to turn straight to summer. Though we enjoy absolutely beautiful spring blooms, our weather heats up fast! Enjoying some summer-like weather this past week got us thinking about summertime in Charlottesville. During the summer months, there is so much to do, and there are certain things we just don’t want to miss out on. To make sure we “accomplish” the fun (and to help you do the same) we’ve created a bucket list perfect for your summer trip to C’Ville. This one is not to be missed! Whether you live in C’Ville or you’re just visiting, if you are here on a Saturday, you’ve got to visit the City Market. 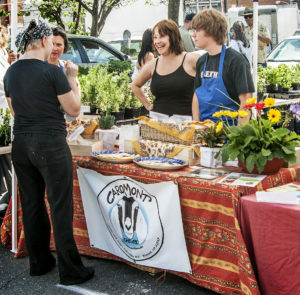 It takes place in a parking lot downtown and hosts several vendors including fresh produce, delicious food and pastries of all sorts, local handmakers, and great coffee, kombucha, smoothies or other drinks you can enjoy on a hot day. We love the City Market because you can enjoy some food or dessert right there or take locally made and grown snacks home with you. Most of all, we just love a relaxing summer morning walking around the market and eyeing all of the goodies. 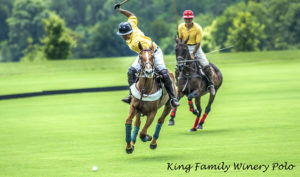 Watching a polo match at King’s Family Vineyards is a unique experience that we highly recommend if you are in C’Ville on a Sunday. First, King’s Family has delicious wine, and you can enjoy that any day of the week. On Sundays through the summer, King’s Family puts on polo matches. It is a tailgating event where you can drive your car right onto the field to find a spot to watch. Bring your own snacks to accompany your wine, and enjoy a fast paced polo match in a beautiful setting with a delightful mountain view as your backdrop. A major plus is that this winery isn’t far from the Inn- about 15-20 minutes! This makes for quite the unforgettable afternoon or early evening. 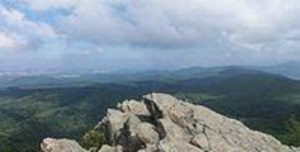 Start with driving out to Humpback Rock, a popular hike in the area for its outstanding view. The main hike is a pretty intense workout as you’ll be walking a steep incline for at least 30 minutes straight, but there are other paths up the mountain that make for a less tiring hike. The view at the top is worth it regardless. Reward yourself with great food and fantastic local craft beer from Blue Mountain Brewery, which will be on your way back to the Inn. The bonus here is that your mountain view continues if you eat outdoors at Blue Mountain! Crabtree falls is a longer hike, but not as difficult. The views here are truly unforgettable with a series of waterfalls that make up some of the largest waterfalls in the state. As you hike to the top, you’ll see numerous views of waterfalls, and being near water will keep your hike a bit cooler, even in the summer heat. This hike is a bit farther out, but very much worth the drive. Again, it’s time to get your reward for your exercise- more delicious food and beer, but this time from Devil’s Backbone. You’ll be surrounded by the mountains at their Basecamp location. Not only do they have a restaurant and taproom, but they also have an outdoor biergarten, a place to enjoy coffee, a gift shop, and a large, outdoor bar. They’ve built it up quite a bit over the past few years and we highly recommend it! 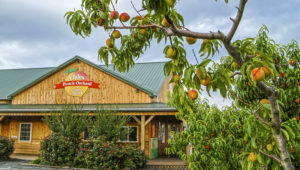 Enjoy fresh, locally grown peaches by picking them yourself at Chile’s! Enjoy a peach out on their patio with gorgeous mountain views (are you sensing a theme here?). Along with peaches, you can also enjoy great ice cream and plenty of other local goods from their orchard shop. Make it a relaxing afternoon with a Bold Rock hard cider flight from their on site tasting room or some wine from the Prince Michel’s tasting room. 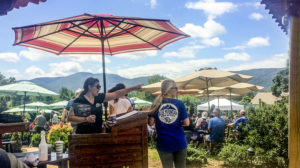 Chile’s is only about 15-20 minutes from the Inn (close to King’s Family Vineyards) so it is a perfect place to visit while you are here this summer! There you have it- our top five picks for our C’Ville Summer Bucket List. We can’t wait to check all of the items off our list this summer! Which part of the list looks most exciting to you? We’d love to know! This entry was posted in Charlottesville VA by Foxfield Inn. Bookmark the permalink.